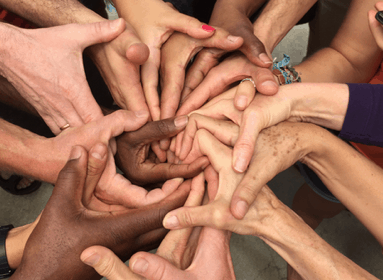 Our Common Peace, a monthly race relations dialogue circle will meet this Saturday, Oct. 13th from 3 p.m. – 5:30 p.m. Anyone 15 years or older is welcome. Free Event and Free Parking in the back of the building; okay to park in Reserved Parking on Saturdays. 3916 Sepulveda Blvd., Culver City, CA 90230. Refreshments are served. Dial 22 on the Intercom. Please join us as we share from the Hheart our thoughts and experiences regarding race relations and learn from each other how we may more effectively and lovingly live, navigate and thrive in our diverse beloved home community of Los Angeles. Race Relay has been meeting monthly for more than three years. We would greatly appreciate having you be a part of our Honored Circle! We believe that Story is Medicine. Come share your Story! Anyone 15 years of age or older is welcome!